Where has the school year gone? In just a few days my children will be home for the summer and it is time to get prepared. Although I wonder if it’s ever possible to prepare for that. On the agenda for our summer? Playdates, park trips, swimming lessons, visits to the library, baseball games and hopefully a family vacation. It will all go by too quickly and before I know it I’ll be complaining about having to send them back to school. 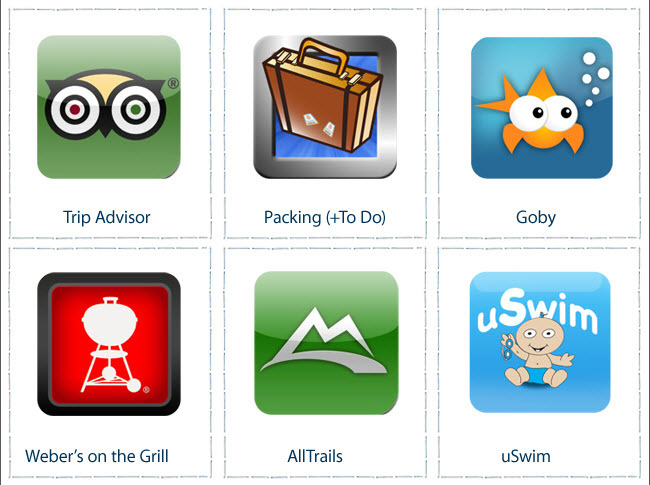 I’ve put together a small list of apps to help you get your summer started off on the right foot. Here’s to the lazy, hazy, crazy days of summer! Enjoy them everyone!